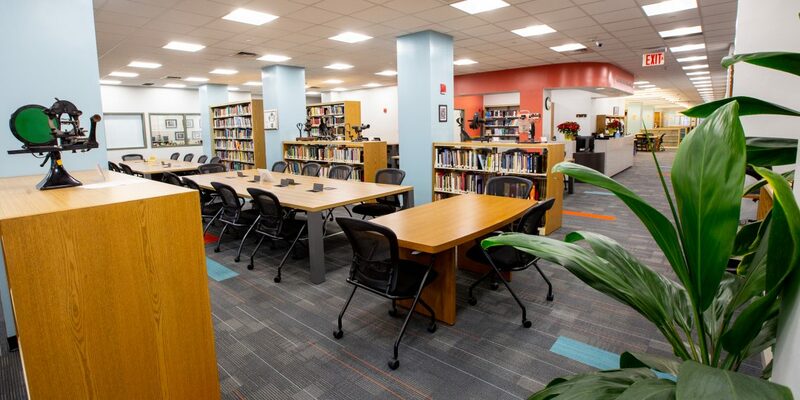 A physical—and digital—renovation has enhanced the resource center for students, professors, alumni and eye care professionals. Long a meeting place for studying, swapping notes and sharing information to ace a semester, the Harold Kohn Vision Science Library at SUNY Optometry is giving the College community something new to talk about, as it is sporting a makeover. Not only is there new furniture, carpeting and lighting as part of an ongoing renovation that will be completed next summer, but additional windows were added and study space was increased. While some of these changes may seem superficial, they will do a great deal to enhance the experience for visitors. 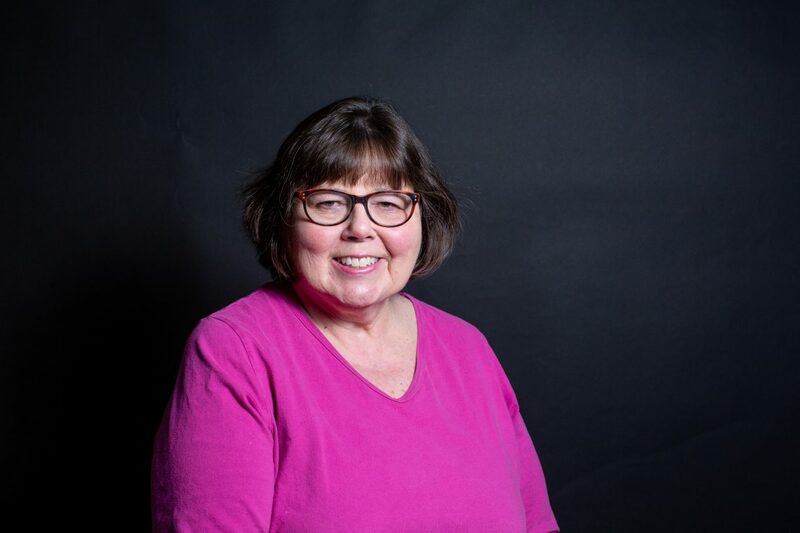 “The library is very much the heart of the institution where students come to learn together, to relax and to bond,” says director Elaine Wells, who is responsible for all library planning, service, budget and administrative operations. Whether it is through beautifying the physical space or enriching the digital technology, the library supports SUNY Optometry students on their journey to becoming optometrists by making state-of-the-art resources available 24/7. This summer, the library team will introduce a new Library Service Platform. “Our ‘discovery service’ enables patrons to search all of our databases at once and retrieve full-text articles whenever possible,” says Ms. Wells. Named after an attorney with expertise in health care who served as legal counsel to SUNY Optometry in its early days, the Harold Kohn Vision Science Library also attracts those who are not students at the College by introducing services that are useful to alumni and other eye care practitioners as it houses a valuable collection of resources pivotal to patient care and research.